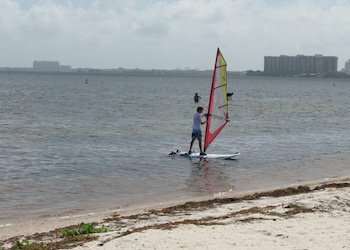 South Pointe Park is more than a very attractive beach with lots of recreational facilities and stunning vistas. 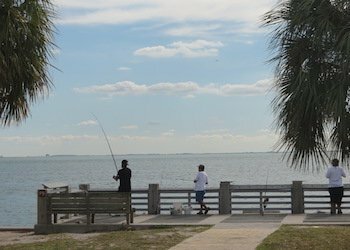 The park itself is gorgeous, which has much to do with its prime location on the water and the more than 20 million dollar face lift it underwent not long ago. 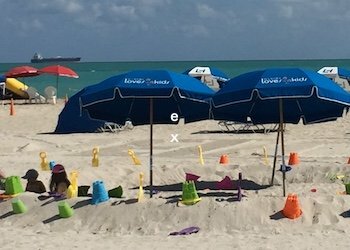 Just down from the hustle and bustle of swanky South Beach, right at the very tip of the island, the vibe here is relaxed and friendly, great for families, kids, even the dog! 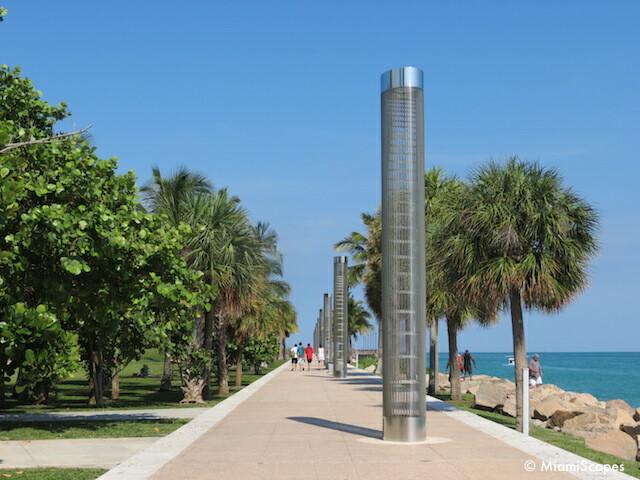 One of the highlights of South Pointe, besides the spectacular beach, is the walking promenade that runs along the channel which is the major thoroughfare for watercraft entering and leaving the Port of Miami and marinas. The Cutwalk is a great place to go for a stroll and take in some of the most striking scenery the city has to offer. 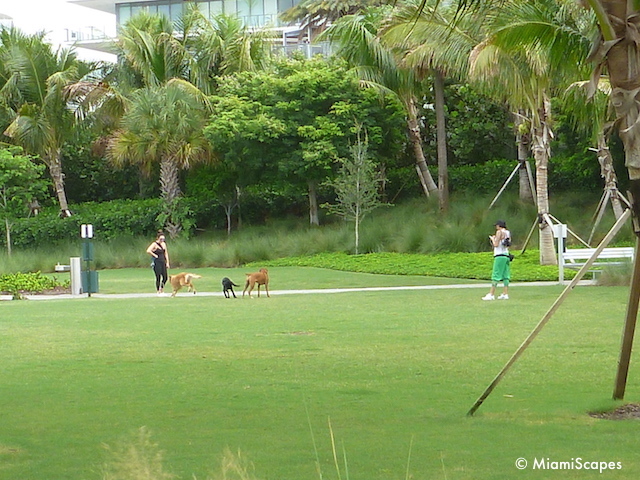 The park is one extensive playground with many recreational facilities. The grounds have been beautifully landscaped with gently sloping mounds, tons of shrubs and trees and walking paths that wind through it. It is great for walking and jogging. Bicycles and skateboards are allowed on the paved walkways but not on the "hilly" portions. Besides lots of green space, there's a playground for kids, jungle gym and all, plus water sprayers if it gets too hot. 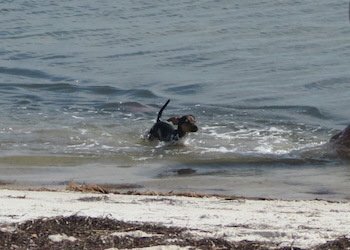 In terms of ammenities, this is one of the most "fully-equipped" beaches around. 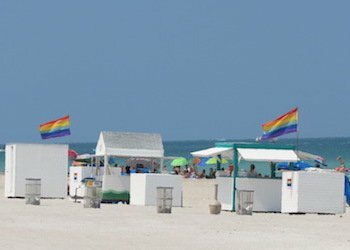 There are lifeguards, showers and restrooms, a snackbar, beach chair and umbrella rentals, picnic tables, volleyball, parasailing, a fishing pier and a myriad of watersports. 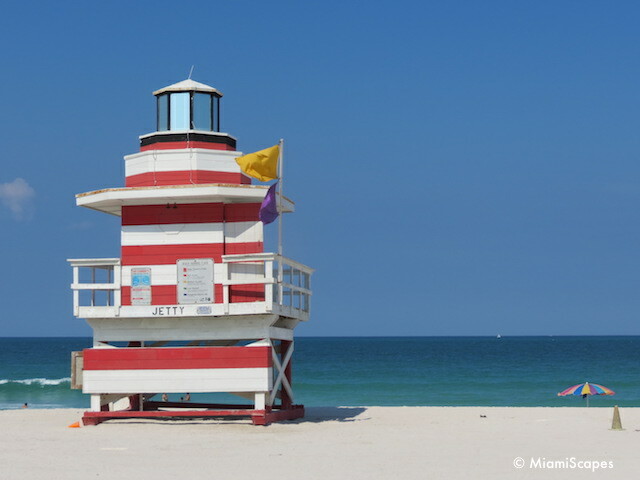 At South Pointe, you will also find a couple of Miami Beach's signature Lifeguard Towers in brightly contrasting colors. 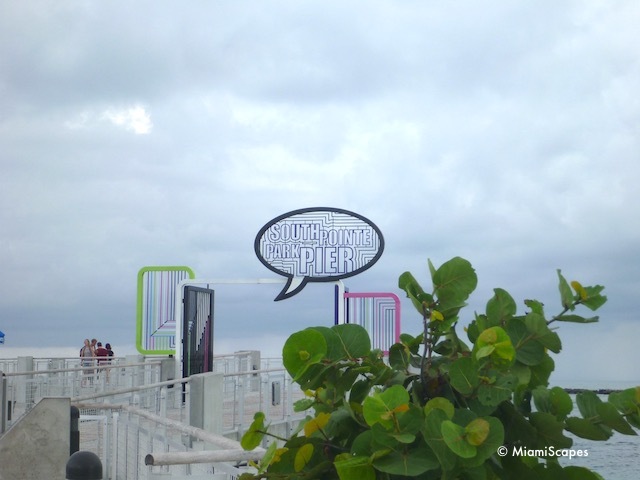 The park is at the southernmost point of Miami Beach. Entrance to the park is FREE and if you come by car is at 1 Washington Avenue. There is a public parking lot (240 spaces) with rates starting at $2 per hour. However, on weekends or public holidays, there is a flat day fee of (ouch) $20 per vehicle. 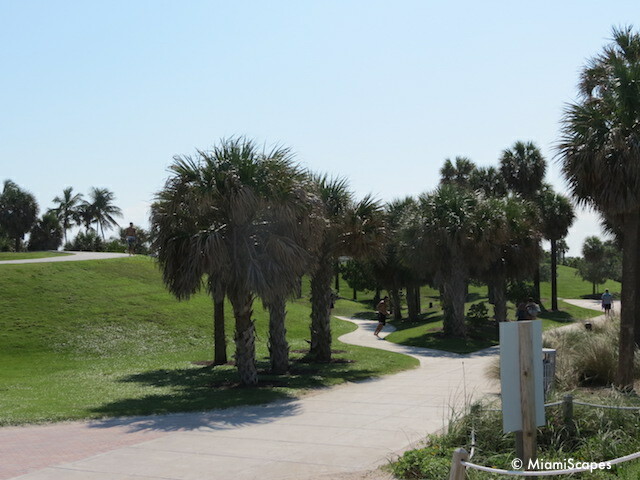 If you are going to the beach, it is a bit of a hike (specially if carrying the chairs, coolers, umbrellas, and assorted beach necessities...) from the parking lot to the beach on the paved walkway. 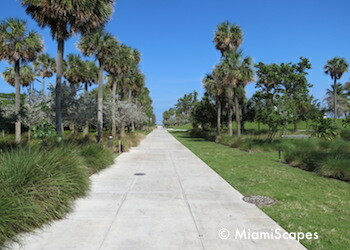 South Pointe Park is also connected to South Beach via the Miami Beach Walk. 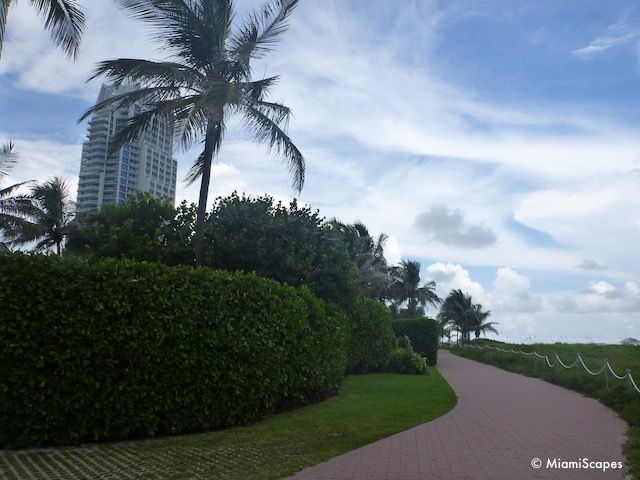 It's a short walk or bike ride away, you are already in the SoFi area of South Beach. 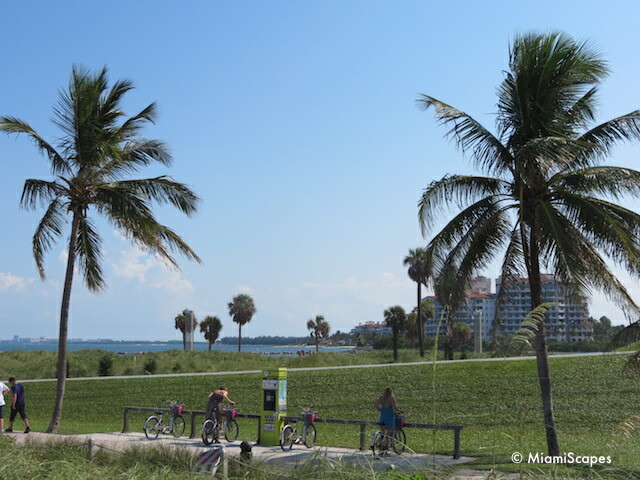 You can rent a CitiBike which are available throughout Miami Beach. 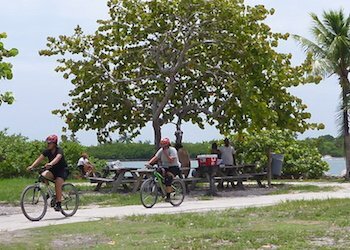 There is a CitiBike station here at South Pointe as well and remember bikes can be borrowed and returned at any of the CitiBike stations throughout Miami. 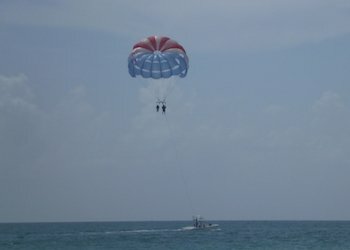 You can also take the South Beach shuttle, which at $0.25 per ride is a bargain or the FREE trolleys that loop around South Beach and connect you to the rest of Miami Beach. 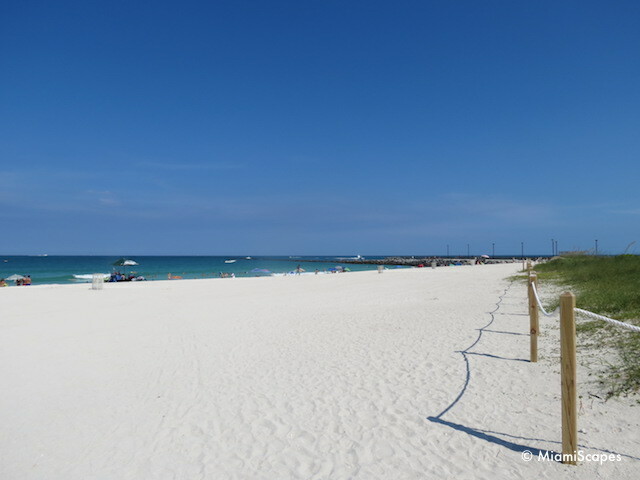 The SoBe Local covers all of South Beach from South Pointe up to 23rd Street, the route loops around Collins Drive and Alton Road. 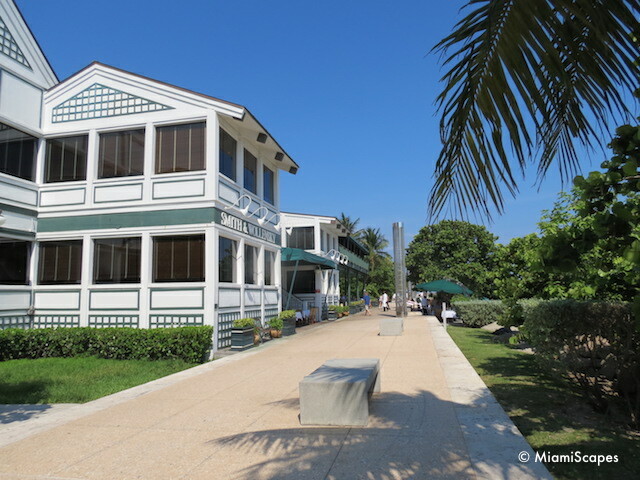 This is a great place to unwind, sip a drink and enjoy the scenery and action on the channel. 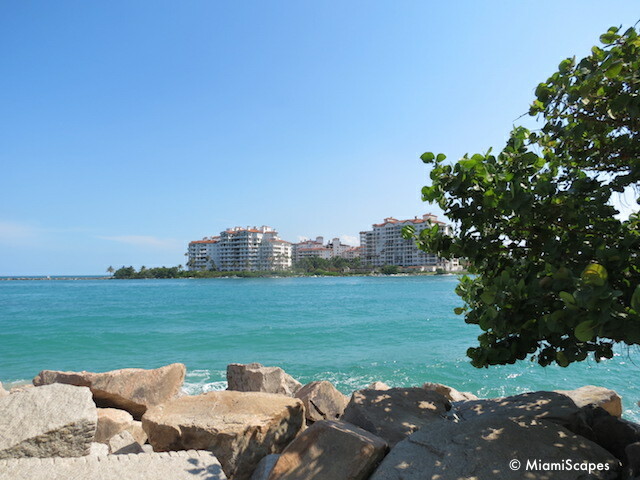 Or you can continue on west and head towards the Marina. 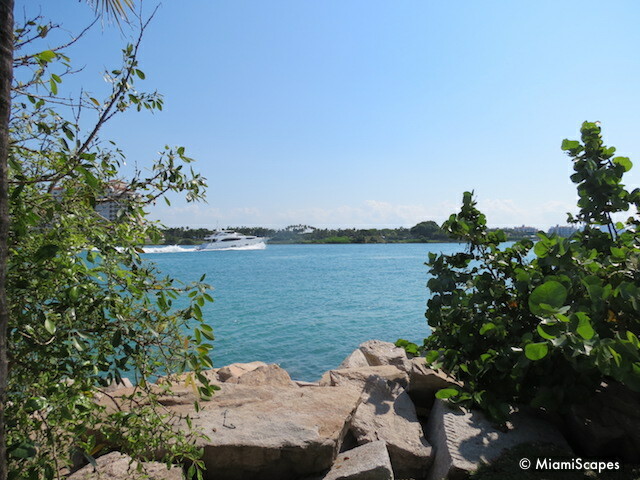 You will run into Monty's, which as its Coconut Grove counterpart, has great views of the yachts and watercraft. Another great place to unwind. Or swing by Joe's Stone Crabs on the way out for a little gourmet self-indulgence, enjoy! 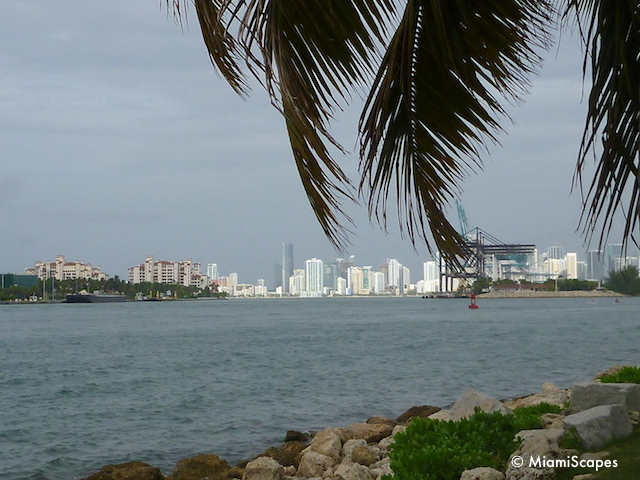 The views at night are magnificent, with the Miami skyline and the South Beach lights as well as the Cutwalk light towers. 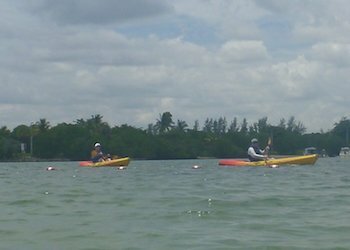 And on the 4th of July, this is a great place to watch the fireworks that lit the skies of both Miami Beach and Biscayne Bay. 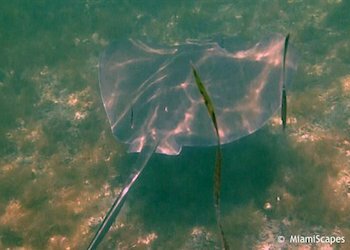 Park Hours: Sunrise to 10:00 p.m. Cutwalk until 2:00 a.m.